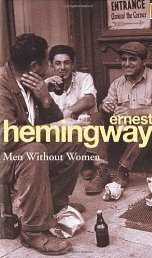 My journey through Hemingway's works continues and 'Men Without Women' was no let down. The testosterone is flowing in this collection of short stories and the author's narrative is constantly catching the macho emotions amid the standard Hemingway vivid scene description. We move from bullfighters, to gangsters, to boxers, to road trippers. Often the stories are based in the romance of continental Europe, a place for which, it is clear, Hemingway has a special affinity. very often we leave the story abruptly with a typical open-ended cliffhanger, allowing us to ponder the future development of the characters. Each of the stories could quite easily become a novel in themselves and in that sense 'Men Without Women' leaves us thirsty for more. Sign into Goodreads to see if any of your friends have read Men Without Women.